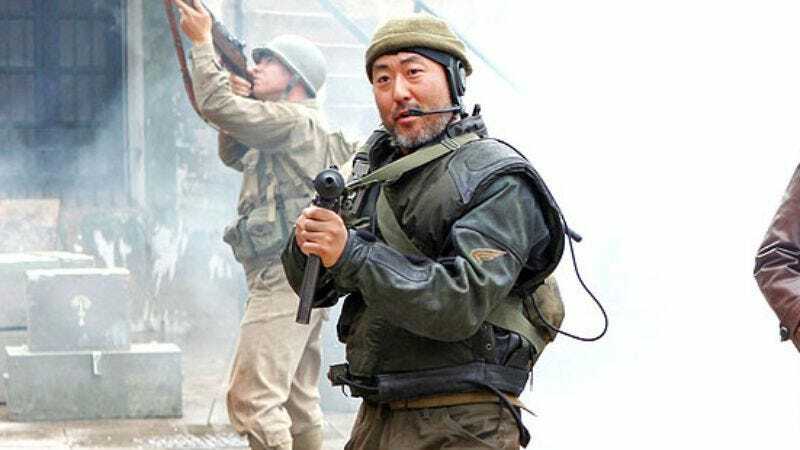 Kenneth Choi recently appeared as Judge Lance Ito on American Crime Story, but comics (and comic-book movie) fans may recall him from somewhere else—as Japanese POW-turned-Captain America sidekick Jim Morita from 2011’s Captain America: The First Avenger (and Agents OF S.H.I.E.L.D.) Well, now Choi is set to dunk his actorly chip back in the tasty seven-layer dip of Marvel intellectual property, as Deadline reports that he’s been in cast in Sony’s upcoming Spider-Man: Homecoming. So Choi’s character, which is rumored to be the principal of Peter Parker’s (Tom Holland) high school, could be completely unrelated to his Captain America character. Or he could be Jim Morita’s son, or nephew—Marvel is fond of non-parental blood relationships—or evil twin who travels through time in order to kill Spidey before he gets his powers. You never know. Either way, it’ll be more of a business decision than a creative one. Spider-Man: Homecoming will awkwardly pin a corsage on audiences on July 17, 2017.